MATLAB which is short for Matrix Laboratory is a programming language with a number of functions and tools which are specifically built for mathematical computations and mathematical modeling of systems. It is also used in a number of fields or domains for manipulation, extrapolation as well as visualization of data. Matlab is distributed by Mathworks and a number of versions for the product including free trials and subsidized rates for the students are available. Apart from the core programming features of MATLAB, Mathworks also provides a number of powerful packages with the tool such as Simulink which is a graphical modeling tool of MATLAB and works closely with it. Did you know? Our Matlab experts provide high quality Matlab programming assignment help to college & university students worldwide? Now, you can let our experts do your Matlab homework assignments and be assured of top scores! To begin with, Mathworks Matlab is pretty similar to some other programming languages like Python, Perl and Haskell and has a completely functional interactive mode where codes can be entered and executed one line at a time. The other way to go about it would be to create a script file having a number of code lines to be executed as a set of instructions in one go. These script files in MATLAB have the .m extension. Note: To create a new script file, simply press the ‘New Script’ button on the file menu in the Home tab. You can also type the command “Edit *file name*” in the command window of MATLAB and it will ask you to create a new file in of the given file name in the directory you are working in. In this introductory article we will try and cover some very basic elements of MATLAB and its features. HOW TO WRITE MATLAB CODE AND SCRIPTS? Excess white spaces to not affect the readability of execution of the code. c=2+3 is exactly equal to c = 2 + 3. In the script file, the lines of code end with a semi-colon ‘;.’ In the interactive mode however, if the code line ends with ‘;’, the details of the execution will not be printed on the results window and its absence will print the details of the execution in the results window. The % sign is used for writing comments for the readers and he MATLAB complier ignores these lines of codes as non-executable. MATLAB has a workspace in which all the details of the variables are present. Any variable initialized or updated will be reflected in the workspace at all the times along with the values stored in those variables. HOW TO WORK WITH MATLAB ARRAYS AND MATLAB MATRICES? MATLAB Arrays and matrices are the crux of MATLAB and provides a laundry list of functions and input for matrices. The arrays and matrices can be declared within square brackets. Row elements or columns are separated by commas or white spaces and the rows are separated by semi colons. Example: j=[1 2 3; 4 5 6; 7 8 9] is a 3X3 matrix having elements 1 2 and 3 in the first row, elements 4 5 and 6 in the second row and elements 7 8 and 9 in the last row. Matlab comes with the common methods and elements of control flow including, if-else constructs, while and for loops and break and continue statements. They are used in the same way as they are used in any other programming language with some slight modifications in the syntax. The fundamental concepts of conditional statements, however, remain the same here too. If you are familiar with the concept of dictionary in Python, MATLAB provides the same feature under the concept of structs. Sets of data can be grouped together to form a relational model. In case of more complexity, entire classes can be created too. MATLAB also provides the option of creating user defined functions with or without reference values which can be called and executed when in need. Creating a function in MATLAB is extremely and is similar to declaring a variable. The type of variable in this case will then by analogous with function. These were the most common and most used properties of MATLAB, apart from these; MATLAB also provides the options of other programming features such as inheritance, handle, etc. MATLAB also provides a number of plotting and mapping features which can be used to plot and map mathematical functions and results. The packages of MATLAB such as Simulink package, fuzzy logic package, robotics vision and toolbox package also contain highly interactive graphical interfaces and result modules which can be used closely with their mathematical modeling counterparts. That is right, we can help you with last minute, 11th hour or even overnight assignment requests. Thats because we have over 3000 expert assignment helpers who work for us from around the globe. And we work 24x7, including weekends and holidays. So, we are ready to help you anytime. Contact us for urgent assignment help on any subject including - Nursing, MATLAB, Statistics, Psychology, Engineering, Computer Science - we have expert assignment writers for all subjects. HOW TO ORDER INTRODUCTION TO MATLAB COURSERA? 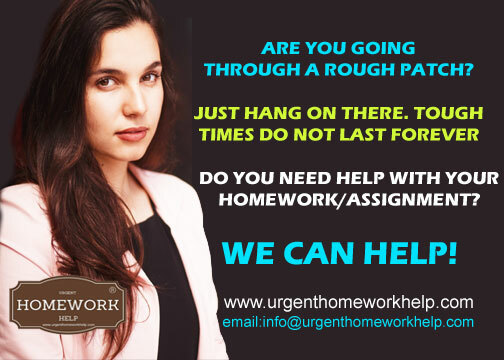 Placing an order for college homework help is as simple as sending us your requirements using the ORDER NOW form provided in this page, on the right. Just fill in your contact details, add any additional information and attached relevant reference documents, if any, and send it to us. We will review it and contact you right away. Click here to place an order for Matlab programming homework help. You can chat with our customer success managers on our website, any time of the night or day and tell us exactly what you need and when. Share any relevant documentation. Tell us if you would like us to follow any particular referencing style. Specify the word count. Give us all this information and then sit back and relax. You'll be surprised how quickly we get back to you. We will keep you updated with progress and once done, we put it through our internal quality checks. After that, we will deliver it to you on the confirmed delivery date. We like to keep things simple and straight-forward. No complicated processes or extended wait times for online assignment help. No need to chase us for status updates - we'll keep you updated with progress at every stage. No surprise delays or price-hikes. No putting up with rude and arrogant customer care executives. We are absolutely committed to delivering your completed assignments on time, every time! NOW TRANSLATE YOUR FAVOURITE COLLEGE HOMEWORK WEBSITE INTO ANY LANGUAGE! To translate this page, click on the dropdown above and select the language of your choice. Firstly, get in touch with us and provide us with details of your assignment. Tell us what you need - share any relevant documentation and most importantly, tell us when you need your completed assignment. That is all the information we will need to get started. Secondly, make the payment. For your convenience, we accept online payments through PayPal. You can pay online using any of your credit or debit card. You will get a receipt for your payment by email after a while. That is the official record for your payment. Thirdly, collect your completed assignment on the scheduled date and time. Go through your assignment and if you feel there is a need for any change(s) feel free to let us know. Our friendly customer care executives will be happy to take in your request and get it actioned right away! Urgenthomeworkhelp.com is absolutely the best Matlab programming homework help website. I was desperately looking for help with my rather complex Matlab college assignment and luckily discussed it with their support team. They not only helped with my order but also delivered it to me exactly on schedule! Thank you. Thank you for your help with the absolutely professional work you guys did on my Matlab programming assignment. Truly impressed with the excellent coordination between your teams-your customer success team is really 'super-professional'. They calmed me down when they realized that I was so stressed out. My assignment was delivered exactly on time! So glad I chose your services to get my Matlab programming homework done. It was worth every dollar I spent for it. The order process was so simple and bare took me a few minutes-thanks to your excellent support team. The assignment itself was excellently done-properly formatted and I did not have to request for any more corrections! Good work.